It's IntLawGrrls' great pleasure to welcome Kim Thuy Seelinger (left) as today's guest blogger. Kim directs the Sexual Violence & Accountability Project at the Human Rights Center at the University of California, Berkeley, School of Law. The Project pursues interdisciplinary strategies to address impunity for sexual violence. 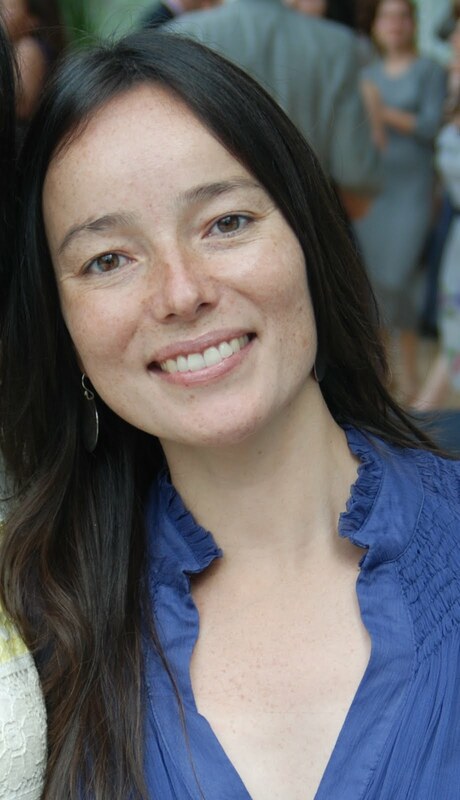 Prior to joining the Human Rights Center, Kim was a staff attorney and clinical instructor at the Center for Gender and Refugee Studies at the University of California Hastings College of the Law. There she co-taught the Refugee and Human Rights Clinic with our Hastings colleague Karen Musalo (prior IntLawGrrls posts). Kim also represented asylum seekers who were fleeing gender-based violence. She's also served as a Yale-China Association Legal Education Fellow in southwest China and as immigration staff attorney with Lutheran Family & Community Services in New York City. She earned her J.D. from New York University School of Law, and serves on the Board of Directors of the Southeast Asia Resource Action Center. Kim's scholarship focuses on issues of gender-based violence, persecution based on sexual orientation, and developments in asylum jurisprudence. Most recently, this year she published "Violence Against Women and HIV Control in Uganda: A Paradox of Protection? ," in the Hastings International and Comparative Law Review. Her sample-based analysis of asylum claims involving forced marriage is forthcoming. Ki'ms current interests include the relationship of legal and medical sectors in the prosecution of sexual violence, as well as the intersection of women's rights and health status in general. In her guest post below, Kim discusses a range of efforts to address sexual violence in Kenya. Kim dreams her international foremother to have been Trưng Trắc, a Vietnamese village woman born in the 1st century. 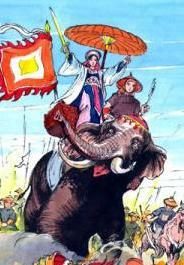 Under the strain of Chinese Han control over North Vietnam, Trưng Trắc and her younger sister (atop elephants), led a predominantly female legion to temporarily expel Han dynasty forces from the northern prefectures. Today Trưng (image credit) joins IntLawGrrls' other foremothers in the list just below the "visiting from..." map at right.